Symphony of the Soil, a feature-length documentary film premiers March 25 at the Smithsonian Natural History Museum as part of the EnvironmentalFilm Festival in the Nation’s Capitol. Shot on four continents and drawing on both ancient knowledge and cutting edge science, Symphony of the Soil is an artistic exploration of the miraculous substance that is soil. The film project’s creators say that by understanding the elaborate relationships and interplay between soil, water, the atmosphere, plants and animals, viewers will come to appreciate the complex and dynamic nature of this precious resource. The film also examines our human relationship with soil, and the latest scientific research on soil’s role in solving some of the most challenging environmental issues of our time. The film features scientists and farmers and ranchers and offers a glimpse of the possibilities healthy soil creates for healthy plants and healthy humans. Included is a portrait of the work of winemaker John Williams and Frog’s Leap Vineyards in the Napa Valley where organically managed dry-farmed grapes make for great soil and award-winning wine. This year the Environmental Film Festival celebrates 20 years of advancing environmental understanding through the power of film. As the first film festival devoted to the full range of environmental topics, the Environmental Film Festival was a novel idea when it was founded. While 1,200 people attended the inaugural Festival, today the Festival has expanded to become the nation’s largest showcase of environmental film, attracting an audience of more than 30,000. Beyond Washington, D.C., the Festival has launched a movement, serving as a model for environmental film festivals across the country and around the world. Symphony of the Soil joins 180 other festival films, including 93 Washington, D.C., United States and World premieres from 42 countries. A centerpiece of this year’s festival is a retrospective Academy Award-nominated director Lucy Walker’s work. She will present her latest film, The Tsunami and the Cherry Blossom, and receive the Festival’s Polly Krakora Award for artistry in film. Visit Symphony of the Soil’s new website for upcoming screenings. Symphony of the Soil will have a theatrical run in the U.S. this fall, but for now it’s only being shown at community sponsored screenings. If you’re interested in showing the film for a grassroots audience, such as a non-profit, farm, university, or at a festival- contact the project with details about your event. Written and directed by Northern California filmmaker Deborah Koons Garcia, several eminent scientists served as advisors during project development. 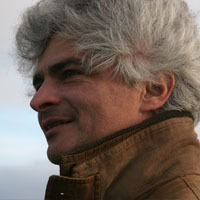 Ignacio Chapela is a Professor of Microbial Ecology at the University of California, Berkeley. He is also a senior researcher at GenØk, the National Center for Biosafety, Norway. He has worked as a biologist in various capcities with indigenous communities in Latin America, public education and public research institutions (in Mexico, Wales, the US, Norway, costa Rica and Venezuela), private industry (in Switzerland), public policy national and multinational bodies (UNDP, Panamerican Health Organization, World Bank), and multiple foundations and think-tanks. 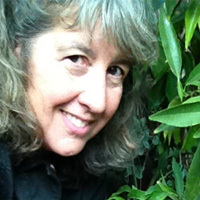 Kate Scow joined the faculty of University of California Davis in 1989 and is Professor of Soil Science and Microbial Ecology in the Department of Land, Air and Water Resources. She is Deputy Director of the Agricultural Sustainability Institute and Director of the Russell Ranch Sustainable Agriculture Facility. Scow also leads a project in central Uganda involving farmers, scientists, extension specialists, and NGOs in developing novel approaches for enhancing vegetable production and market access for smallholder farmers. She has published over 160 peer-reviewed articles and book chapters. Dr. Frederick L. Kirschenmann, a longtime national and international leader in sustainable agriculture, shares an appointment as Distinguished Fellow for the Leopold Center for Sustainable Agriculture at Iowa State University and as President of Stone Barns Center for Food and Agriculture in Pocantico Hills, New York. He also oversees management of his family’s 2,600-acre certified organic farm in south central North Dakota. 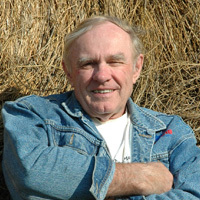 His recent book publication list includes; Cultivating an Ecological Conscience: Essays from a Farmer Philosopher. If you don’t find me in the garden, you’ll see me at the movies. Bring popcorn!